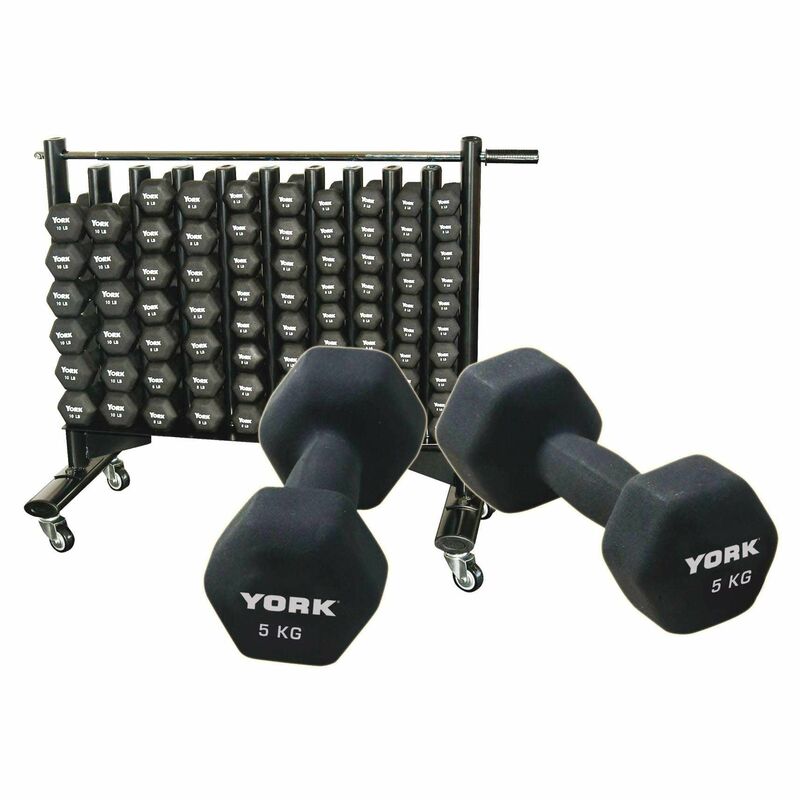 The York Neo Hex Dumbbell Club Pack contains 44 pairs of dumbbells in multiple weight options to provide most versatile workout for a wide range of users. The set weighs 184kg (405lb) and includes 24 x 1kg (2.2lb), 20 x 1.5kg (3,3lb), 16 x 2kg (4.4lb), 14 x 3kg (6.6lb) and 14 x 4kg (8.8lb) dumbbells. The dumbbells feature ergonomic handle design for ease of use and anti-roll flat sided heads to ensure they remain in place when put aside. Additionally, the weights’ durable neoprene coating is easy to keep clean and pleasant to touch. for submitting product review about York Neo Hex Dumbbell Club Pack.